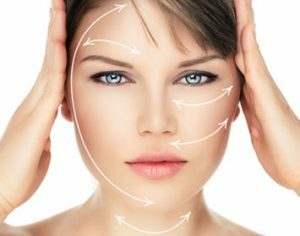 Here at HSA Dermal Clinic, we understand the extent to which severe and extensive body scars can harm self-confidence and quality of life. From stretch marks to acne scarring to body scars caused by surgery or injury, millions of adults across the UK struggle with various forms of scarring. While traditional approaches to body scar removal have either been worryingly invasive or largely ineffective, this is no longer the case. We utilise the most advanced technologies ever devised to quickly and effectively remove body scars, without the need for invasive surgery. Our experience and expertise in the latest non-ablative skin resurfacing technology directly targets the problem areas, without impacting the surrounding tissues. Stimulating the natural production of new collagen and elastin, the skin’s evenness and youthful radiance can be restored in no time at all and with no downtime. To learn more about the latest advances in the removal of body scars, contact a member of the HSA Dermal Clinic team today. HSA Dermal Clinic is proud to offer London’s most advanced scar reduction and treatment services, suitable for all types of rudimentary and major scarring alike. We work with and the most advanced microbeam laser skin resurfacing technology, in order to tackle problematic scarring deep below the surface of the skin for unbeatable results. Laser scar reduction and treatment not only reduces the appearances of problematic scar tissue, but also stimulates the production of natural elastin and collagen. The result is a skin that appears clearer, healthier and with restored youthfulness. From our cutting-edge clinic in London, we exclusively provide the safest and most effective non-surgical laser scar reduction and treatment for all skin types. We’ll guide you through the available options and help you make the best choice to suit your requirements accordingly. Contact a member of the HSA Dermal Clinic team today, or stop by our London clinic to discuss our advanced approach to scar reduction and treatment.